Did you notice during the final Dodgers and Nationals game that there were a few moments where either team could have clinched when a pitch was thrown? A double play or an out would seal the deal for Los Angeles. A home run or an extra base hit would send Washington to the NLCS. A single pitch had the polar opposite fates for two teams. How many times has this happened? How many times has a post season series come down to a moment where a single pitch could have clinched for either side? I originally did this post for the Giants and Royals finishing the 2014 World Series. I am updating it for last night’s game. While figuring this out, I picked a team where a hit, including a homer, would yield a walk off clincher for the home club. I also took a visiting team where an out or a realistic double play would end the series. If a runner is on third with 1 out, the chances of a double play would be slim at best. The list will not include memorable series like the 1960 World Series, 1975 World Series, 1980 NLCS, 1986 World Series, 2004 ALCS nor 2011 World Series. Oddly enough those years did not yield this scenario. The losing team and winning team were never on the verge of clinching at the same time in any of those years. So lets find them, the ultimate post season at bats. This list will include One Game Playoffs, Wild Card Games, Division Series, League Championship Series and of course World Series. Bottom 10. Giants 2 – Red Sox 1. 1 out. Runners at first and third. 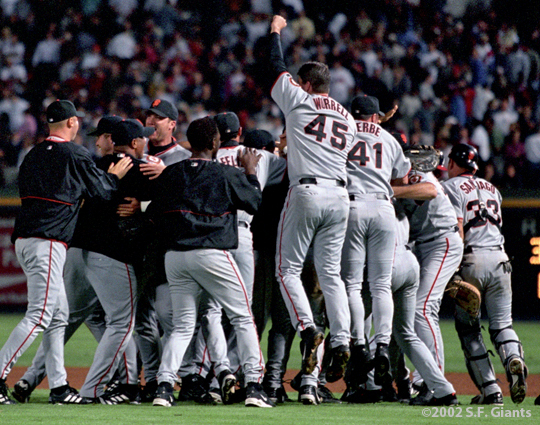 Double Play would win World Series for Giants. Extra Base Hit would win World Series for Red Sox. Giants Pitcher – Christy Mathewson. Red Sox Batter – Tris Speaker. Result – Speaker singled to right field to tie the game 2-2. 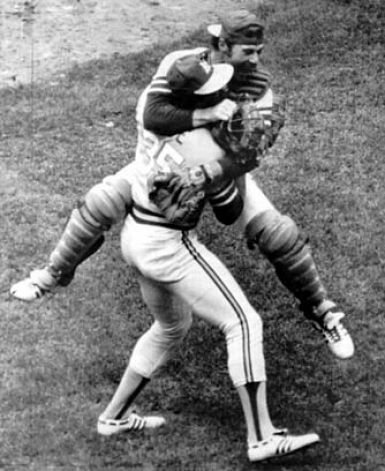 Red Sox would win the World Series two batters later when Larry Gardner hit a walk off sacrifice fly to drive home the winning run. Bottom 9. Cardinals 3 – Yankees 2. 2 outs. Runner at first. Out would win World Series for Cardinals. 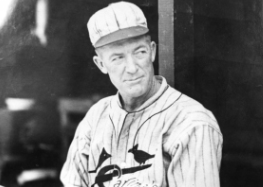 Cardinals Pitcher – Grover Cleveland Alexander. 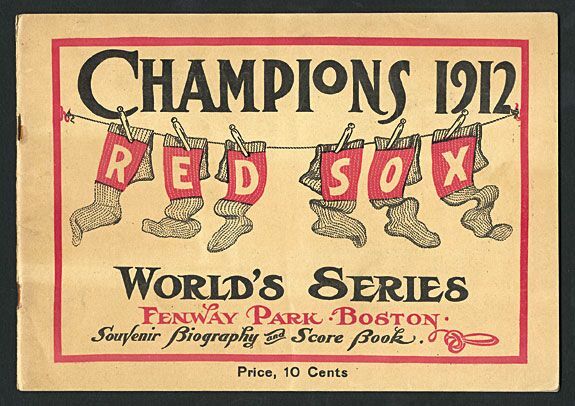 Red Sox Batter – Bob Meusel. Result – Babe Ruth, the runner at first, is caught stealing to end the game and clinch the World Series for the Cardinals. Bottom 9. Dodgers 4 – Giants 2. Double play would win Pennant for Dodgers. Home Run would win Pennant for Giants. Dodgers Pitcher – Ralph Branca. Giants Batter – Bobby Thomson. Out would win World Series for Yankees. Yankees Pitcher – Ralph Terry. 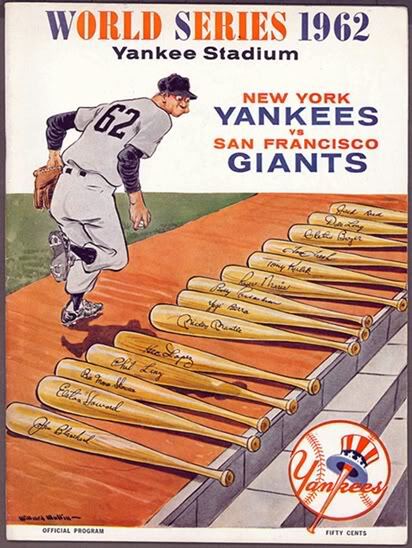 Giants Batter – Willie Mays. Result – Mays doubles to right field. Baserunner Matty Alou is held at third base. 2 outs. Runners at second and third. 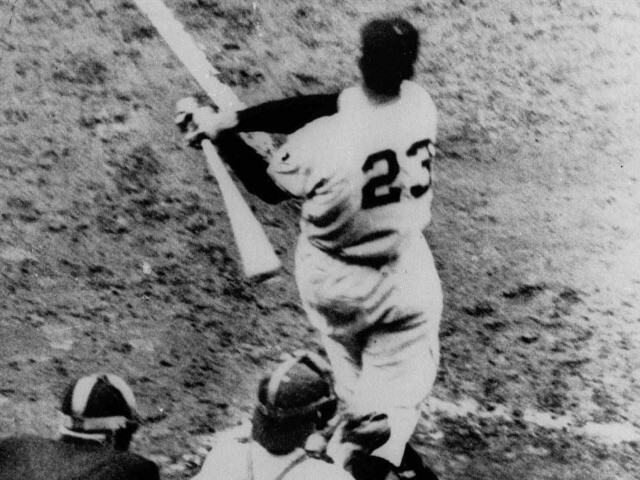 Giants Batter – Willie McCovey. 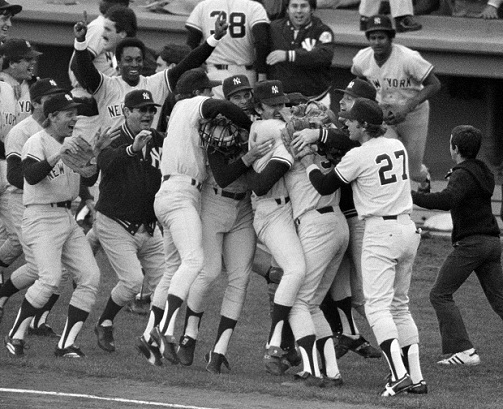 Result – McCovey lines out to second baseman Bobby Richardson to clinch World Series for the Yankees. 1 out. Runner at first. Double Play would win Pennant for A’s. Home Run would win Pennant for Tigers. A’s pitcher – Vida Blue. Tigers batter – Mickey Stanley. Result – Stanley grounds to shortstop. Runner is forced out but Stanley reaches first. Out would win Pennant for A’s. Tigers batter – Tony Taylor. Result – Taylor flies out to center field. A’s win the pennant. Out would win World Series for A’s. Home Run would win World Series for Reds. A’s pitcher – Rollie Fingers. Reds batter – Pete Rose. Result – Rose flies out to left center field. A’s win World Series. Double play would win Division for Yankees. Home Run would win Division for Red Sox. Yankees pitcher – Rich Gossage. Red Sox batter – Jerry Remy. Result – Remy singles to right field. Rick Burleson moves to second. 1 out. Runners at first and second. Extra base hit would win Division for Red Sox. Red Sox batter – Jim Rice. Result – Rice flies out to right field. 2 outs. Runners at first and second. Out would win Division for Yankees. Red Sox batter – Carl Yastrzemski. Result – Yastrzemski pops up to third baseman Graig Nettles. Yankees win Division. Out would win Pennant for Dodgers. 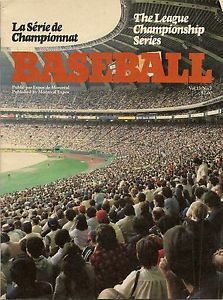 Home Run would win Pennant for Expos. Dodgers pitcher – Fernando Valenzuela. Reds batter – Larry Parrish. Result – Parrish walks. Pinch runner Jerry Manuel moves from first to second. Extra base hit would win Pennant for Expos. Dodgers pitcher – Bob Welch. Reds batter – Jerry White. Result – White grounds out to second. Dodgers win pennant. 1 outs. Runners at first and second. Double Play would win Pennant for Pirates. Extra base hit would win Pennant for Braves. Pirates pitcher – Stan Belinda. Braves batter – Damon Berryhill. Result – Berryhill walks. David Justice moves to third. Sid Bream moves to second. Single would win Pennant for Braves. Braves batter – Brian Hunter. Result – Hunter pops up to second baseman. Out would win Pennant for Pirates. Braves batter – Francisco Cabrera. Result – Cabrera singles to left. Justice scores the tying run. 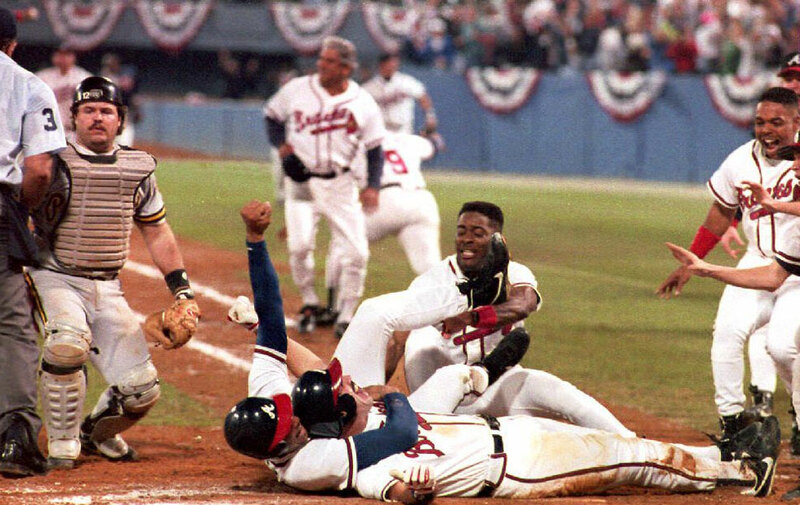 Sid Bream somehow scores the winning run. Braves win NLCS. 1 outs. Runner on First. Double Play would win World Series for Indians. Home Run would win World Series for Marlins. Pirates pitcher – Jose Mesa. Braves batter – Charles Johnson. Result – Johnson singles to right field. Moises Alou runs from first to third. 1 outs. Runner on First and third. Extra base hit would win World Series for Marlins. Braves batter – Craig Counsell. Result – Counsell lines to right field. Alou tags and scored to tie the game. Marlins would win World Series in bottom of the 11th. 1 outs. Runners on First and Second. Double Play would win World Series for Yankees. 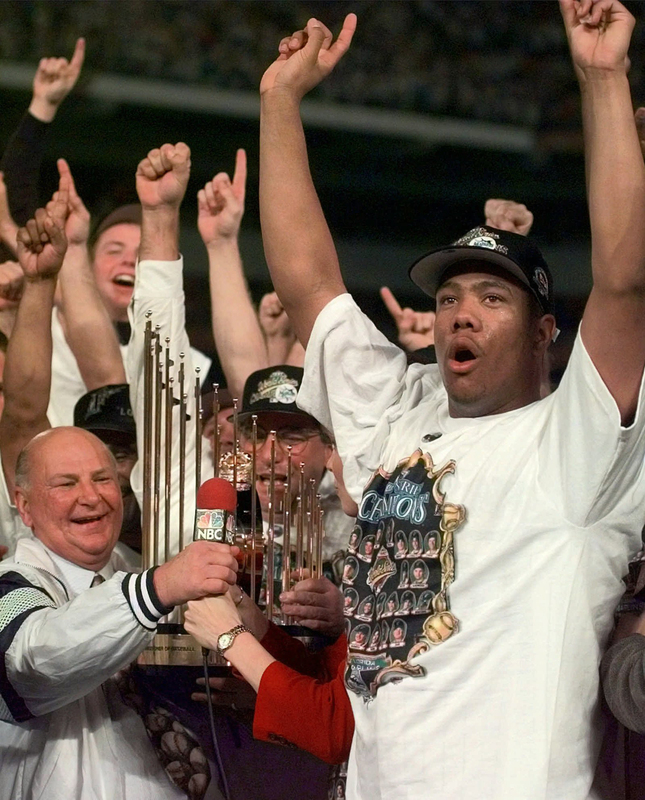 Triple or Home run would win World Series for Diamondbacks. Pirates pitcher – Mariano Rivera. Braves batter – Tony Womack. Result – Womack doubles to right field. Pinch runner Midre Cummings scores to tie the game. Diamondbacks would win the World Series two batters later on Luis Gonzalez’s single. 2 outs. Runner on First. Out would win Division Series for Twins. Home Run would win Division Series for Athletics. Twins pitcher – Eddie Guardado. Athletics batter – Ray Durham. Result – Durham hits a foul pop to the second baseman. Twins win Division Series. 1 out. Runners on First and third. Double play win Division Series for Giants. Home Run would win Division Series for Braves. Giants pitcher – Robb Nen. Athletics batter – Chipper Jones. Result – Jones hits into a double play to the first baseman. Giants win Division Series. 2 outs. Runners on Second and third. Out would win Division Series for Red Sox. Single would win Division Series for Athletics. 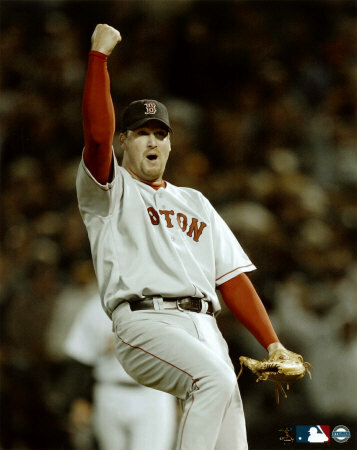 Red Sox pitcher – Derek Lowe. Athletics batter – Chris Singleton. Athletics batter – Terrence Long. Result – Long strikes out looking. Red Sox win Division Series. St. Louis Cardinals at New York Mets. Bottom 9. Cardinals 3 – Mets 1. 1 out. Runners on Second and third. Double play would win Pennant for Cardinals. Home run would win Pennant for Mets. Cardinals pitcher – Adam Wainwright. Mets batter – Jose Reyes. Result – Reyes lines out to centerfield. Out would win Pennant for Cardinals. 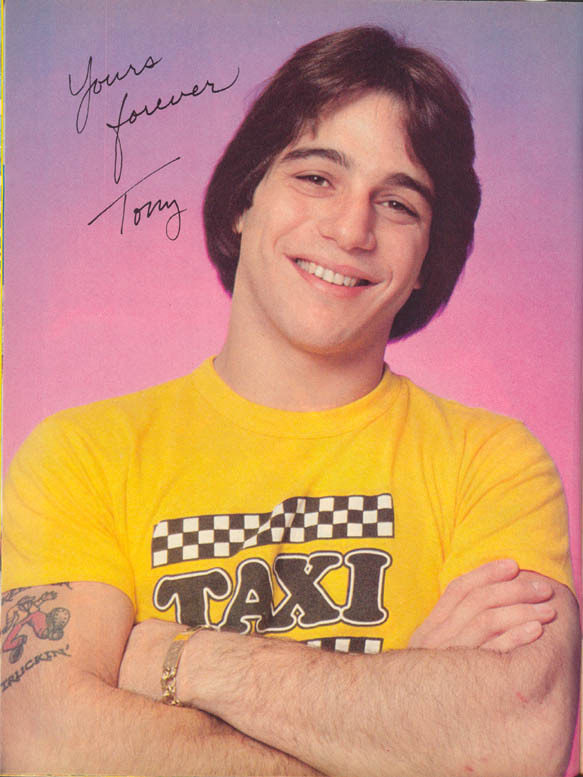 Mets batter – Paul LoDuca. Result – LoDuca walks to load the bases. Extra base hit would win Pennant for Mets. 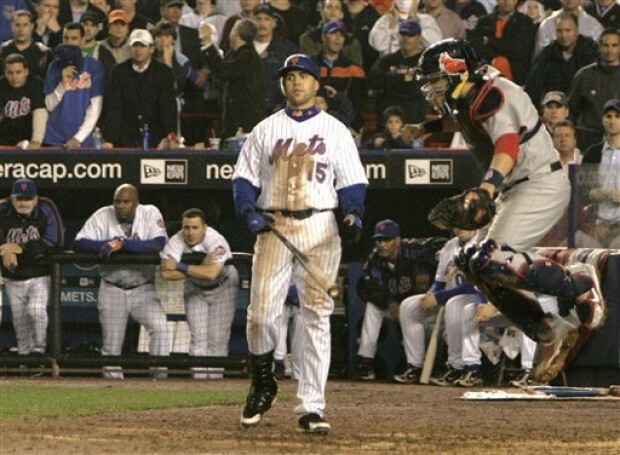 Mets batter – Carlos Beltran. Result – Beltran strikes out looking. Cardinals win pennant. Detroit Tigers at Minnesota Twins. Bottom 10. Tigers 5 – Twins 4. Double play would win Division for Tigers. Extra base hit would win Division for Twins. Tigers pitcher – Fernando Rodney. Twins batter – Matt Tolbert. Result – Tolbert singles, scoring Michael Cuddyer to tie the game. Alexi Casilla moves to third. Twins would win game, and Division, in the bottom of the 12th. San Francisco Giants at Cincinnati Reds. Bottom 9. Giants 6 – Reds 4. 1 out. Runners on first and second. Double play would win Division Series for Giants. Home run would win Division Series for Reds. 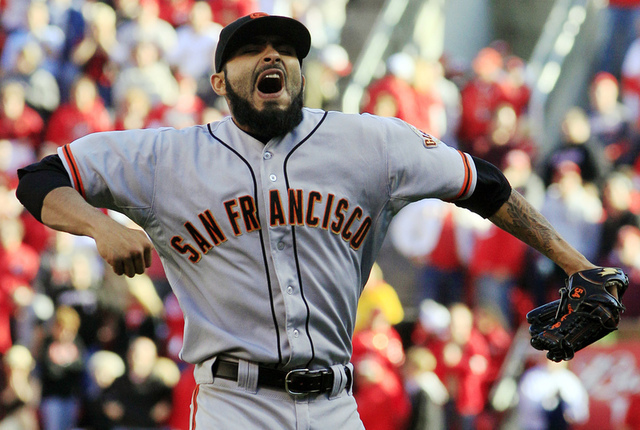 Giants pitcher – Segio Romo. Reds batter – Jay Bruce. Result – Bruce flies out to left. 2 out. Runners on first and second. Out would win Division Series for Giants. Reds batter – Scott Rolen. Result – Rolen strikes out. Giants win Division Series. Bottom 9. Athletics 7 – Royals 6. 1 out. Runner on second. 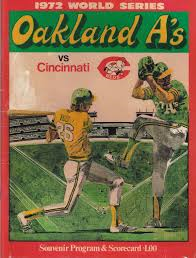 Double play would win Wild Card for Athletics. Home run would win Wild Card for Royals. Athletics pitcher – Sean Doolittle. Royals batter – Nori Aoki. Result – Pinch runner Jarrod Dyson steals third. Aoki hits game tying sacrifice fly. Royals win Wild Card in bottom of 12. Bottom 9. Giants 3 – Royals 2. 2 out. Runner on third. Out would win World Series for Giants. 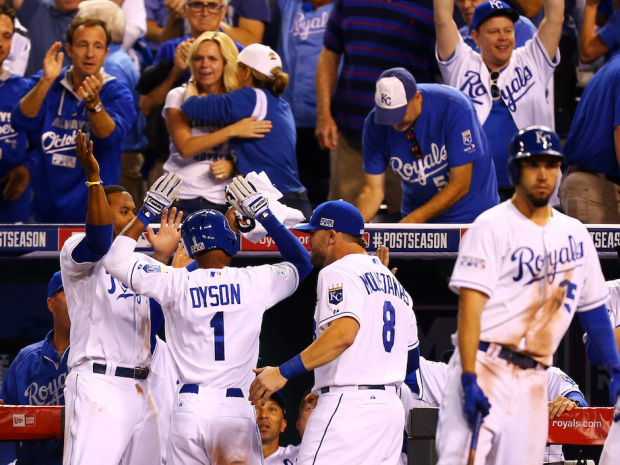 Home Run would win World Series for Royals. Giants pitcher – Madison Bumgarner. Royals batter – Salvador Perez. Result – Perez pops up to the third baseman. 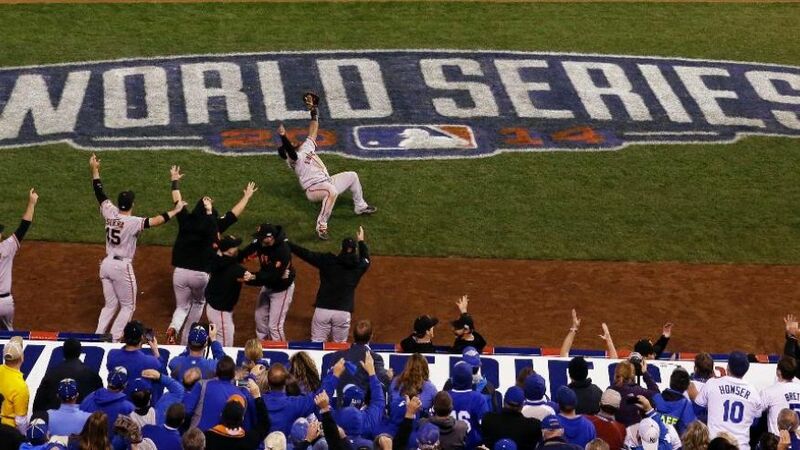 Giants win the World Series. Bottom 9. Dodgers 4 – Nationals 3. 1 out. Runner on first. Double Play would win Division Series for Dodgers. Home Run would win Division Series for Nationals. Dodgers pitcher – Kenley Jansen. Nationals batter – Jayson Werth. Result – Werth walks. Bryce Harper moves to second base. 1 out. Runner on first and second. Extra Base Hit would win Division Series for Nationals. Dodgers pitcher – Clayton Kershaw. Nationals batter – Daniel Murphy. Result – Murphy pops up to second base. Runners do not advance. 2 outs. Runner on first and second. Out would win Division Series for Dodgers. Nationals batter – Wilmer Difo. Result – Difo strikes out. Catcher Carlos Ruiz throws to first baseman Adrian Gonzalez after the ball was dropped. Dodgers win the Division Series. It has happened 34 times in 20 different games. 7 times, the game continued when a batter reached base. 6 times the second out of the inning was recorded. 11 times, the clinching out was recorded. 6 times, the game was tied. In each of those 6 instances, the team that tied the game would go on to win the series. 2 times, the Thomson homer and the Cabrera single, the home team got a walk off game winning hit. So when BOTH teams face a situation where they can clinch, it has gone 12-8 in favor of the pitching team. Five Hall of Fame batters came up in the situation (Speaker, Mays, McCovey, Rice and Yaz) not including Pete Rose and Chipper Jones, who hit into the only series ending double play from this scenario. Four Hall of Fame pitchers were on the mound in these moments (Mathewson, Alexander, Fingers and Gossage.) Mariano Rivera will eventually make it five Hall of Fame pitchers. Madison Bumgarner could very make it six. Clayton Kershaw will probably make it seven. Mathewson faced Speaker, Fingers faced Rose and Gossage faced Rice and Yaz in the ultimate match ups of greatness. And Babe Ruth was the only player caught stealing to end it, spoiling Bob Meusel’s chance at immortality. So this October, take a look to see if we get to see another match up like this, one where a single pitch could mean glory or never ending agony for both teams. On July 18, 2013, I praised Derek Lowe and Xanadu. On March 3, 2013, I discussed marriage, children and the American League East with Nick Stevens.